DATING NASA TAHANAN NI PASTOR KARL ULLMER SA WILHELMSFELD, ALEMANYA KUNG SAAN NANIRAHAN SI JOSE RIZAL NANG TAPUSIN NIYA ANG MGA HULING KABANATA NG NOBELANG NOLI ME TANGERE, 1886. IPINAGKALOOB NG PAMAHALAAN NG ALEMANYA SA PILIPINAS BILANG TANDA NG MAKASAYSAYANG RELASYON NG DALAWANG BANSA AT INILAGAY SA RIZAL PARK, 30 DISYEMBRE 1964. ISINAAYOS, 1994. MULING ISINAAYOS BILANG BAHAGI NG IKA-150 TAONG PAGDIRIWANG NG KAPANGANAKAN NI RIZAL, 2011. Jose Rizal left Heidelberg in April 1886, and moved to Wilhelmsfeld, Germany. He stayed at the house of Protestant Pastor Karl Ullmer. During his stay, Rizal visited the town and often drank from the fountain located in the courtyard of the house of Pastor Ullmer. It was also in Wilhelmsfeld, that Rizal celebrated his 25th birthday and, where he wrote the final chapters of his novel, Noli me tangere. He left Wilhelmsfeld and Heidelberg in the late summer of 1886, went to Leipzig and Berlin, where “Noli Me Tangere” was published. He eventually returned to the Philippines. Rizal’s experience in Germany brought him new insights on his life. Not only did he master the German language; he was also able to observe Germans’ way of life and traditions. Rizal admired the diligence and character of the Germans. 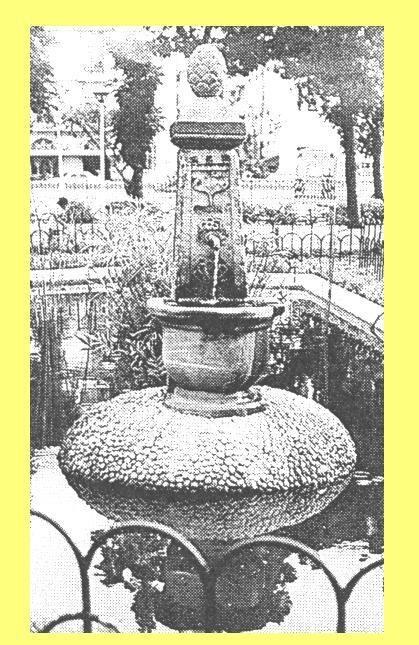 In 1964, Pastor Gottlob Weber, then the occupant of Pastor Ullmer’s house initiated the move, together with Minister Pura Santillan Castrence and Free Press staff artist and Rizalist Gene Cabrera to have the old fountain donated to the Philippines. On December 30, 1964, on the 68th Anniversary of the Martyrdom of Rizal, the fountain was formally turned over to the Philippine government by then German Ambassador Johann Karl Von Stechow, in the presence of then Foreign Secretary Mauro Mendez. The fountain was set up at the Luneta and was called Rizal Fountain, a gift from the German government to the people of the Philippines. In 1994, a major renovation was done through the kindness of Sir Hans Schoof, KGOR Supreme Exchequer Order of the Knights of Rizal with Engr. Edmund M. Tolentino, then Executive Director of the NPDC, providing the support. The rehabilitation project was part of Pres. Fidel V. Ramos’s vision of Philippines 2000, which includes an environment that is clean, green and ecologically balanced. President Ramos presided at the unveiling and re-inauguration ceremony on December 30, 1994. In 2011 the fountain, together with other structures in Rizal Park, was renovated as part of the celebration of the 150th birth anniversary of Jose Rizal. The unveiling ceremony is being organized by NHCP in cooperation with the National Parks Development Committee (NPDC). His Excellency President Benigno S. Aquino III will lead the unveiling ceremony. He will be assisted by Vice-President Jejomar Binay, NHCP Chair Maria Serena I. Diokno, Mayor Alfredo S. Lim, NPDC Exec. Director Juliet Villegas and NHCP Exec. Director Ludovico D. Badoy. 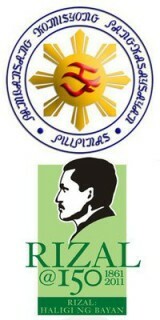 The NHCP is the national government agency mandated to promote and preserve Philippine history and heritage through research, information dissemination, conservation, including the marking of historic sites and structures, and the maintenance and administration of national shrines, monuments and landmarks. For more information, contact Eleonor B. Samonte at NHCP tel. 5231037/5239050.